Bobbi Brown revolutionized the beauty industry in 1991 with the launch of 10 brown-based lipsticks and a simple philosophy that with the right makeup and knowledge women can look like themselves, only prettier and more confident. Her unique approach was a long-awaited gift for women who wanted makeup that was simple, flattering and wearable. Twenty years later, Bobbi’s holistic and empowering take on beauty speaks to women around the world. 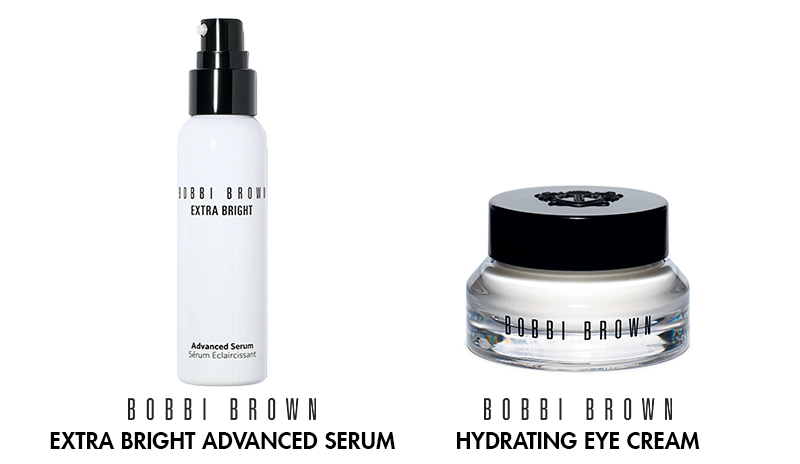 The Products Bobbi Brown Cosmetics offers a full range of color cosmetics, brushes, accessories, fragrance and skincare. Bobbi’s signature concealers, foundations and powders come in yellow-based, skin tone correct shades that look natural on all skin tones. Colors for eyes, cheeks and lips are timeless and designed to be as subtle or as dramatic as a woman wants. Makeup brushes and tools are professional caliber. Each brush is handmade and designed with a specific bristle density and shape to pick up and deposit color for a precise application. Combining natural essential oils with modern ingredient technologies, Bobbi’s skincare collection helps prepare skin for a flawless makeup look. The Services Teaching is a key component of Bobbi’s philosophy. Her professional makeup artists teach women to be their own beauty experts. Before applying makeup, each artist takes into account a woman’s personal style routine to a special occasion 45-minute routine, are designed to be adapted for a woman’s individual needs. Every makeup lesson concludes with the creation of a personalized face chart to help a woman recreate, her lifestyle and her preferences. Bobbi’s application methods, ranging from an everyday 5-minute the look at home. The Design Bobbi’s clean and modern aesthetic is reflected in architectural details like industrial steel cabinetry and Carrara marble, while an abundance of natural light makes the space feel like a chic Soho loft. At the heart and center of the space is a communal artistry table, which creates a warm and welcoming environment for the consumer and her friends to try products at their own leisure, or if they so choose, get the help of a makeup artist. Bobbi Brown Cosmetics was acquired by The Estée Lauder Companies in 1995. The brand is sold worldwide in select retailers in 56 countries and territories. An exclusive beauty line developed by celebrated makeup artist Bobbi Brown, the brand focuses on service and teaching women how to look and feel like themselves, only prettier and more confident. This professional line includes color cosmetics, skin care, professional makeup brushes and tools, accessories and fragrance.